We are a reliable, modern specialised provider of domestic electrical installations. Get in touch for all your electrical requirements. We are NICEIC domestic installers and we cover all areas of domestic and commercial electrical work to a very high standard. Our company is based in East London but are open to jobs both in and around London. Day to day maintenance, Rewiring, Emergency Lighting, Fire alarms, Testing, Fault finding. please provide pictures if possible. Electric Cookers, Electric Heating, Electric Radiators, Electric Showers, Electric Stoves, Electric Vehicle Charging, Electrical Contractors, Electrical heater repair, Electrical Installation Condition Report (Periodic Testing), Electrical Under Floor Heating, Electrician, Emergency Lighting, Energy Efficient Lighting, Fault Finding, Fuseboards/Consumer Units, Immersion Heater Installation/Repair, Landlord Reports/Safety Checks, PAT Testing, Rewires, Smoke Alarms, Storage Heating. We are a modern, reliable specialised provider of electrical installations. Get in touch for all your electrical requirements, we are NICEIC Domestic installer and we cover all areas of domestic and commeral electrical work to a very high standard. Our company is based in east london, but we are open to jobs both in and around london. disclaimer Clients information is only used for purposes of invoicing and reports. It is not used for marketing or give to third parties. we are a family run business with over 25 years experience. 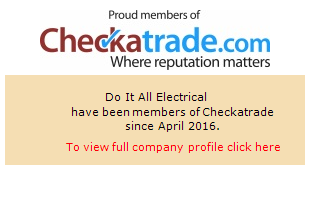 we are fully qualified electricians. NICEIC registered.